If you like the game, check us out on Steam and wishlist us today! Have you heard? The wait is almost over, as Holy Potatoes! A Spy Story?! (HPSPY) is coming to Steam and GOG this 7th November. 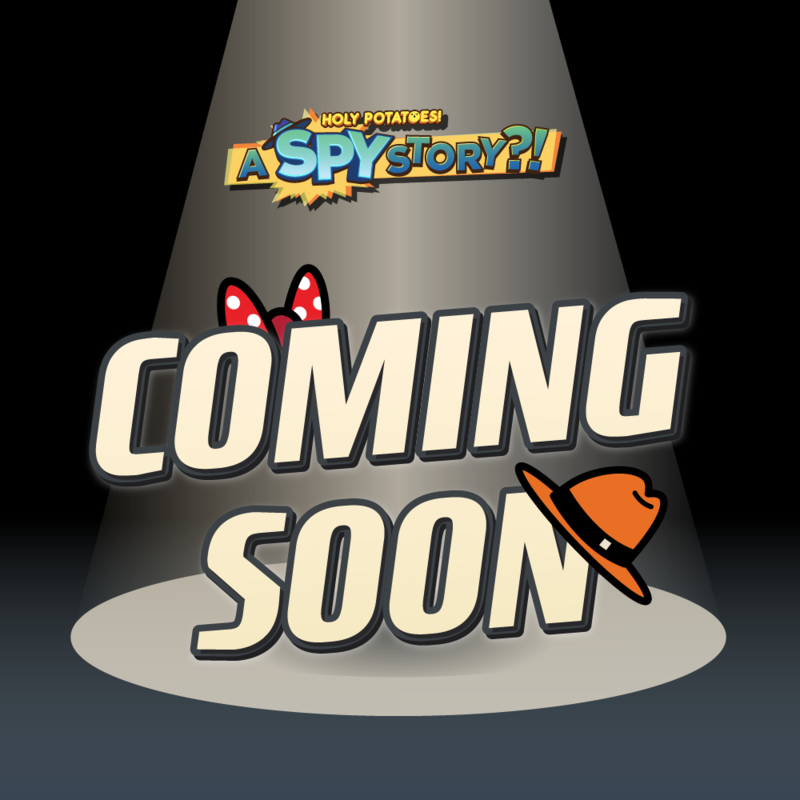 HPSPY will be published by our long-time partner, Daedalic Entertainment, and the spudtacular title will be available on Windows, Mac and Linux. The game will be priced at 14.99 USD, and it will launch with English, German, French, Spanish, Simplified Chinese and Traditional Chinese. 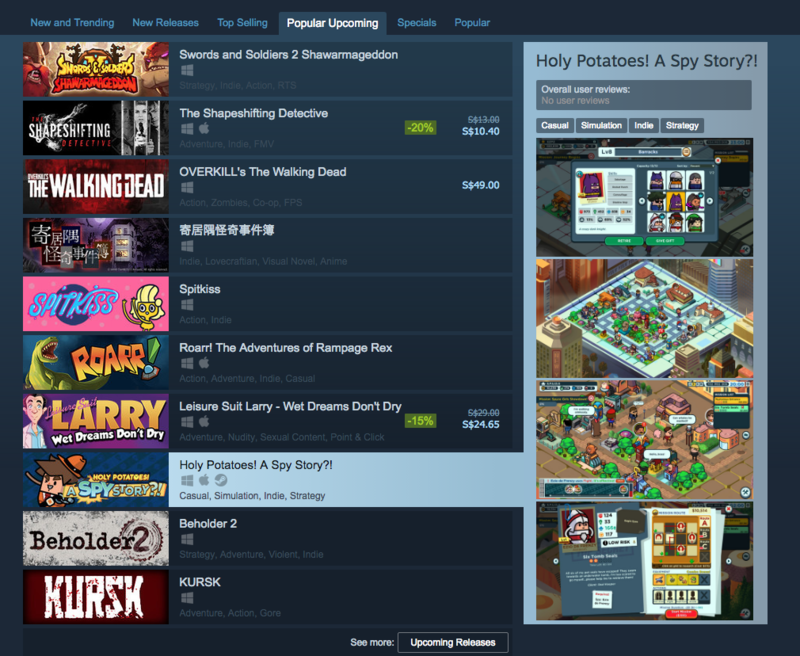 Wishlist the game now (link in the photo below), and join our Spud Squad @ Discord to learn more about HPSPY and our Behind the Spud stories, if you haven't. See you all on 7th November!! P/S: At the time I was writing this, our game was up on the Popular Upcoming tab on Steam, so yay!! The highly anticipated dev update after the closed beta of Holy Potatoes! A Spy Story?! The Thursday Update of the game to show about the polishing and refining work for A Spy Story?! Here's a preview of animations for mission control panel!